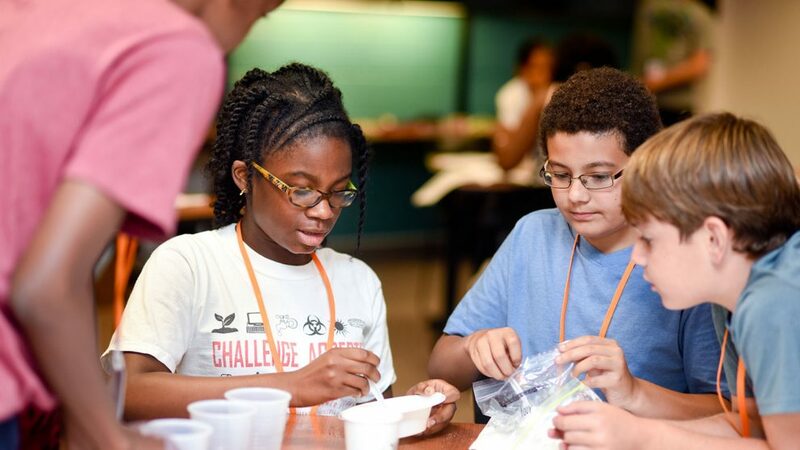 Campers learn in collaborative groups how engineers help society, and they experience engineering themselves through hands-on, creative investigations and design challenges. New activities are introduced each year, and every activity gives a unique perspective on the Engineering Design Process. Past activities have included designing earthquake-proof bridges, solar-powered boats, SNAP programming, nitrogen ice cream and many more fun challenges! Camps I and II are held on the main campus of NC State University, and the curriculum is new every year. Rising 6th through 8th graders may attend either week of camp, but not both. The Imagine, Design and Code Camp is held on Centennial Campus. This camp will introduce various ideas about computer science and technology. Campers will have the opportunity to design, code and display their ideas through various planned activities. Over the course of the week, they will work individually and in groups to consider various ways that computer science is visible in our society by using design thinking skills. No programming experience is required. Select the links below to find out all of the important information. Students can be dropped off between 8:30 and 8:45 a.m. and are picked up between 3:30 and 3:45 p.m. Detailed drop-off and pick-up locations will be provided upon acceptance. Camps are held on NC State’s North and Centennial campuses. 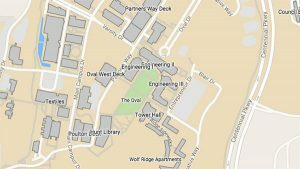 Students may take brief field trips to other campus locations or nearby engineering locations. Lunch and snacks will be provided each day. All dietary needs will be accommodated. Camp will be staffed by classroom teachers, engineering students and NC State engineering staff members. The staff-to-student ratio is approximately 1:6. Camp I and II activities will cover a variety of engineering fields and skills. At 9 a.m. students begin the morning by receiving a new engineering challenge. Students then split into small teams, working together to investigate the problem and find a solution. Students have plenty of break time and outside time to balance the challenging and fun design work they are completing. There is never a dull moment at the engineering camp. At the end of the day, all students gather to present their tested and improved designs. We usually have one field trip at camp related to projects on which the students are working. The Imagine, Design and Code Camp will introduce various ideas about computer science and what you can do with technology. Campers will have the opportunity to design, code and print their ideas through the various activities we have planned. Over the course of the week, we’ll work individually and in groups to consider various ways that computer science is visible in our society by using the design thinking skills the campers are going to gain while in camp. No programming experience is required. Financial Aid: A limited amount of financial aid may be available for families who demonstrate financial need. To be considered, families must submit the financial aid application included in the application website. All students entering 6th through 8th grade in Fall 2019 are welcome to apply. Home-schooled students are encouraged to apply, as well. Both boys and girls are encouraged to apply for the Imagine, Design and Code Camp. The only way to apply is by logging in to our Summer Programs Portal, which will be available between January 14 and April 5, 2019. Please bookmark the site so you can return to it to complete your application and check on the status. What are two goals that you would like to achieve at camp? What have you recently learned that excited you? The submission is typed into the online application. The deadline to apply is April 5, 2019. You will be notified of acceptance by April 29, 2019. Full payments are due on May 10, 2019. Admissions decisions will be based on student interest as determined by his or her response of two short personal statements noted in Application Components above. Acceptance is not first come, first served — preference will not be given to early applicants. In recent years, we have not had enough room for all of the students who were interested in attending camp. If you applied to camp last year, and we were unable to find a spot for you, we will make an extra effort to find a place for you this year.